Whether you are a Prepaid, Postpaid or Broadband roamer, Mobitel offers you seamless connectivity and clarity on your mobile connection while away from your home country. (provided you have activated Roaming on your connection by your home network). What’s more, Mobitel is now BlackBerry enabled, keeping you connected to your business matters even while you roam. 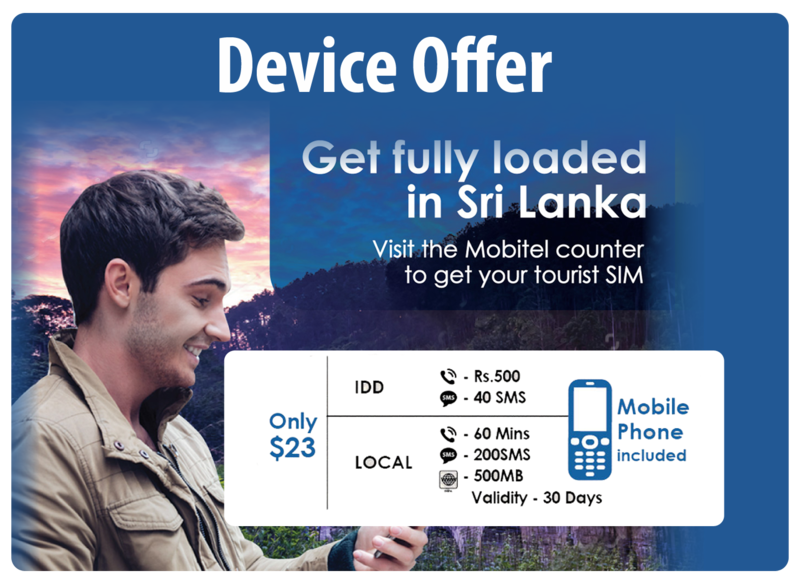 There are two ways in which you can select Mobitel roaming when in Sri Lanka: either manually or automatically. 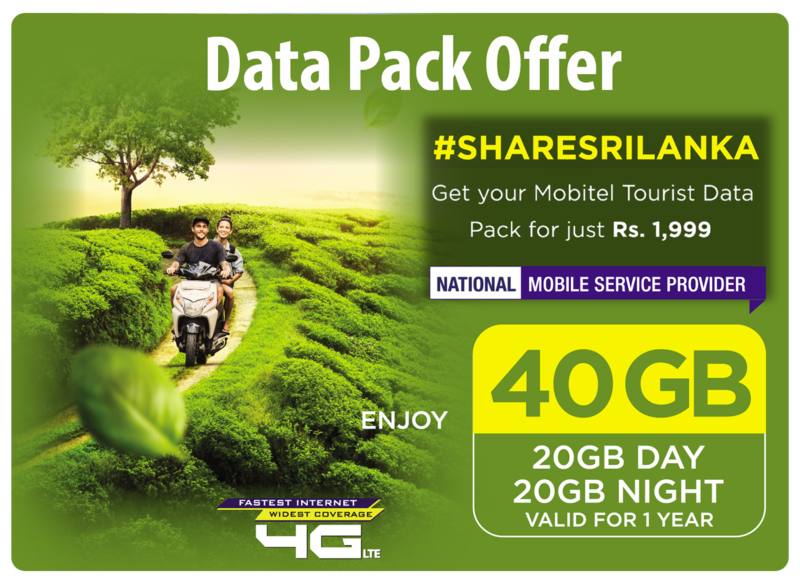 When you are in Sri Lanka you will be automatically switched to Mobitel on your mobile phone. If your handset does not support this capability, you would need to set the network manually. The network selection differs according to the handset model. Please refer to the user guide of your mobile phone or consult your dealer for details. In the manual mode, your mobile phone will display all available GSM networks in the area, out of which you could select Mobitel. Is my network a roaming partner of Mobitel? A tiny island it may be, but Sri Lanka, or the Pearl of the Indian Ocean, is surprisingly multi-faceted. Abounding with rich, natural wonders and ancient archaeological masterpieces, the island gradually unravels a myriad of charms, its people not being the least of these. Its diversity in ethnicity, climate, culture, wildlife and landscape continue to woo travelers as they have done through the ages. A favorable location at the southern tip of India, intercepting the old, international trade routes meant the island was invaded many times over. Colombo, the commercial and banking capital, lies on the west coast and was established by British colonists. Jayewardenepura is the political capital and lies a few kilometers west of Colombo. The ruins of ancient royal capitals and an advanced ancient civilization can be seen elsewhere, especially to the north. The legacy of a colonized past is also evident, e.g. from the Portuguese, Dutch and British periods. The current population of just over 19 million, mostly rural people, consists of 74% Sinhalese, 18% Tamil, 7% Moors and approximately 1% others. Traditionally, the economy was agriculture-based with the main exports being spices, rubber, tea and coconut. Today, the manufacturing industries have taken the lead with the export of garments being the highest foreign exchange earner. Due to its proximity to the equator Sri Lanka has a tropical climate which varies from the coastal plains to the central highlands though there are no marked seasons. There are two major monsoon periods and two inter-monsoon periods during which there are regular, heavy daily downpours. At other times, the weather is generally hot and humid in the south west and hot and dry elsewhere. Forgotten your voicemail numbers? Have problems calling your customer care back at home? Don't worry. Just log on to Mobitel and you can dial your familiar short numbers to retrieve your voicemails or contact your customer care centre and enjoy the same convenience, just like at home. E.g. : A customer from the UK with a T-Mobile connection needs to access his/her voice mail in Sri Lanka. S/he can simply access it as s/he does in the UK, by dialing the same short code. In-roamers are being provided with the benefit and convenience of dialing out a number the same way as s/ he would in her/his home country. E.g. :An In-roamer from Germany roaming with Mobitel can call his/her friend back in Germany without inserting the country code when dialing. S/he could simply select it from the phonebook & dial out. 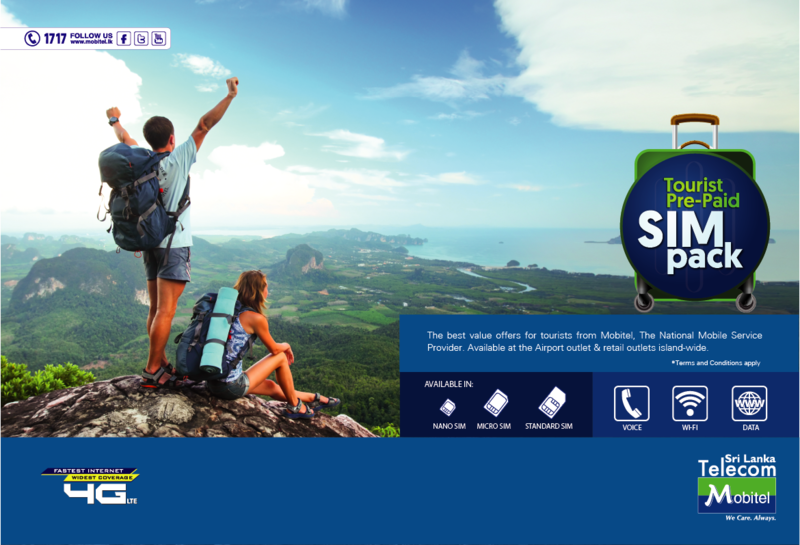 Mobitel provides a map of Sri Lanka for visitors arriving in the country, containing concise and invaluable information about historical places to visit in Sri Lanka, restaurants, shops, etc,. The Tourist MAP is available at the Bandaranaike International Airport and in all leading hotels in Sri Lanka. A special short code of "888" is allocated for the In-roamers to access information on the historical sites of cultural & architectural value. In-roamers can dial in for details about these historical places of interest in Sri Lanka. What you need to do is simply dial the short code 888 & listen to the voice recording of the site in which you are interested. When you roam with Mobitel, you can talk more and be eligible for prizes & surprises.